Dress fashionably in this �Stylish Mother�s Day Dress� and lift your spirits. 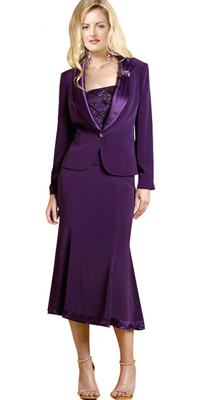 Full sleeves jacket has one button opening and dramatic neckline. Skirt is fit and flared with high low hem, and panels at the bottom.